We are always told to Be Kind. Be Kind to your friends…Be Kind to your teachers…Be Kind to the Bus Driver. The concept of Being Kind is drilled into our heads from the time of birth. Or at least, it was always drilled into mine. I can’t even tell you how many times, on a weekly basis, I am reminded to Be Kind. So what if I have a rage of anger over translation issues or sports – we all need to lash out once in a while. But, at the end of the day, the mantra is always Be Kind. The Kind folks over at the Kind Bar Company, are also reminding us to Be Kind. Only in this case, it’s Be Kind to your Body. Body’s a temple…that’s what we’re taught. Right? Well, maybe. I think now a days, they instill it in the youth’s minds a bit more yet, the obesity rate has skyrocketed. Back in my day, everyone spent as much time as possible outside. Any who, over at Kind Bar Co, they have developed a line of granola-nut-esq bars that contain no extras at all. What you see is what you get…literally. I first found these while shopping for Mommy and didn’t actually try one for quite some time. Since then – and this was upwards of 2 or 3 years, since we quit soy – I have tried a wide variety of Kind Bars. By far, one of my favorites is the Apple Cinnamon & Pecan. Ohh boy…is it tasty. 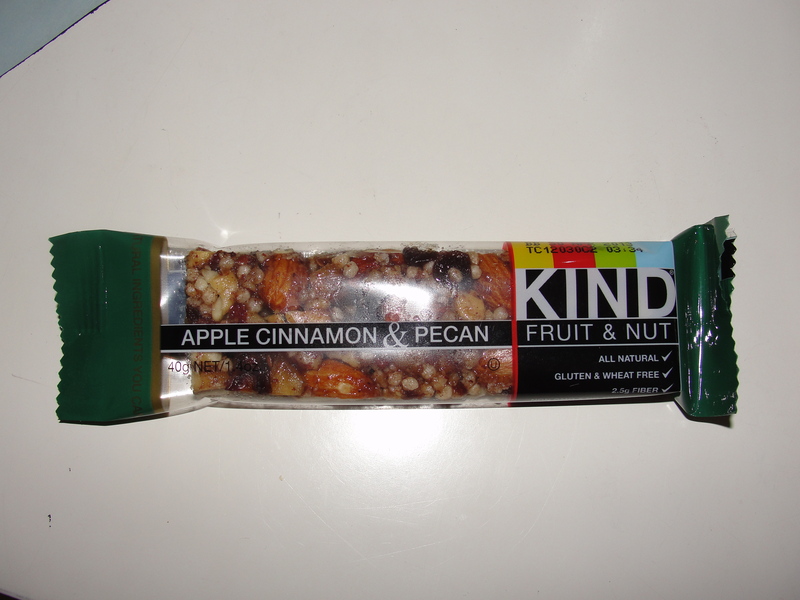 As you can see from the image, the Apple Cinnamon & Pecan Kind Bar contains Pecans, Apples, Almonds, Cinnamon and Raisins. I love how short the ingredient list is but, I love even more the awesome taste of these bars. The only thing I don’t love, is the sticky consistency. 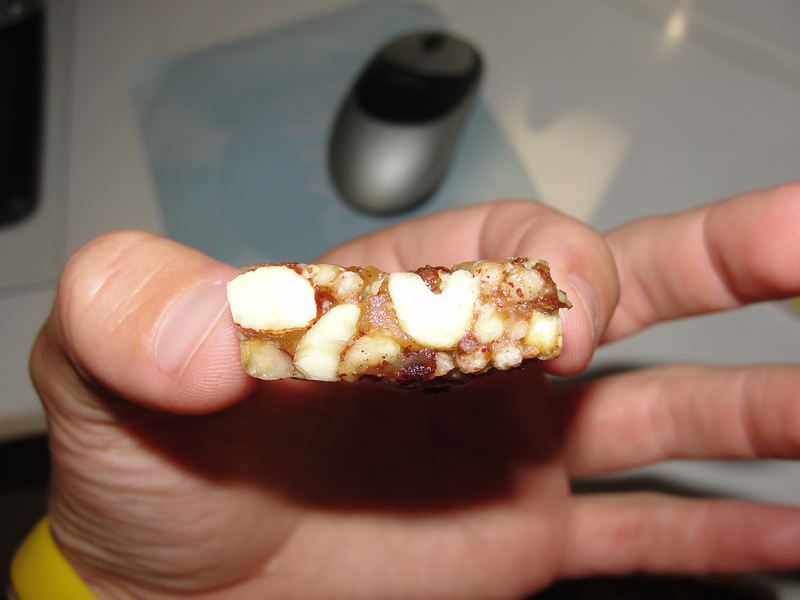 While eating this bar, your hands become very sticky. As I take each bite, my mouth is blasted with that amazing crunch that only nuts can provide. This is followed with the natural sweetness of baked apple pieces and cinnamon. Put this all together, and it’s really Being Kind. 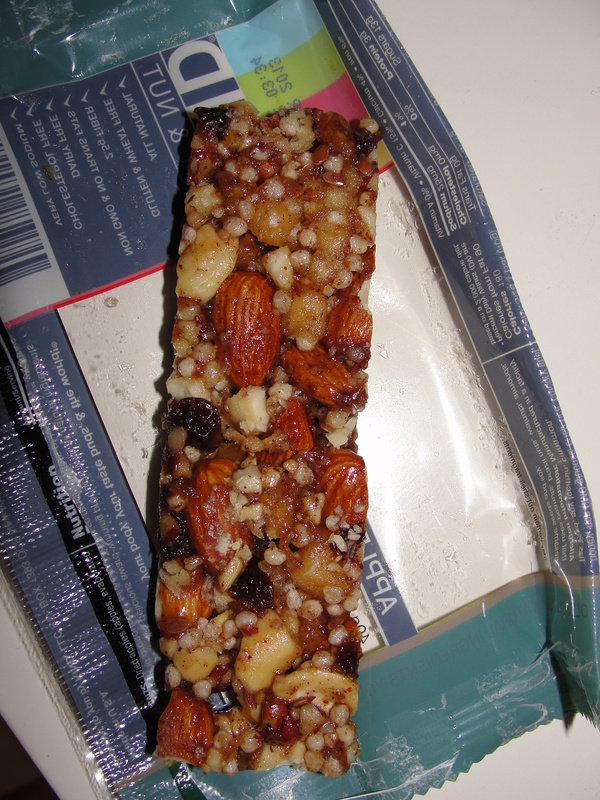 I don’t feel as if the almonds are the primary taste factor in these bars, which is a good thing. Really, there is not one flavor that sticks out more than another. The ground pieces of pecans play nicely with the whole almonds. As for the apples…they are throughout the entire bar in small, baked pieces. Each piece gives you the feeling of freshly baked apple pie. And, of course, the cinnamon helps to portray that flavor. There is an ample amount of cinnamon that provides that bit of spice that the nuts & apples simply can not provide. 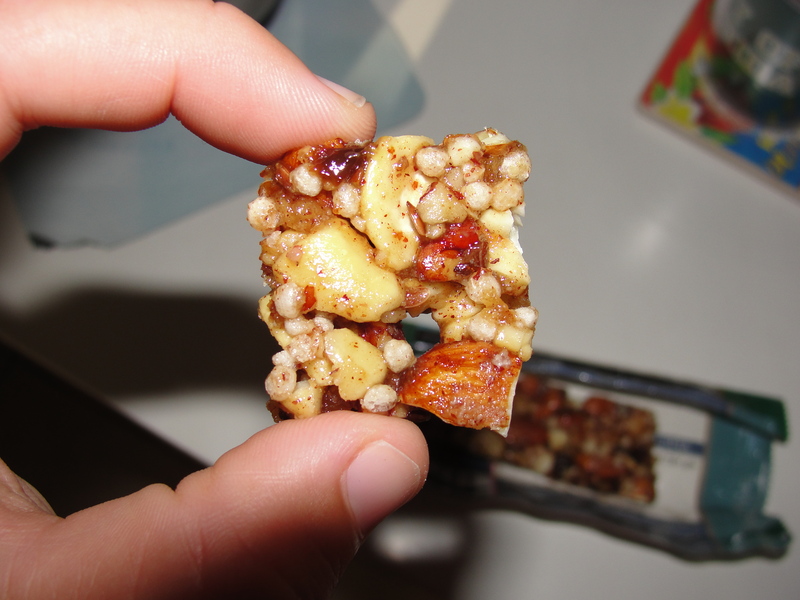 While there are only a few raisins all together, the bites containing the raisins bring on a new factor all together. All together, this Kind Bar is by far one of my top choices. Not only is it good tasting but, it’s not half bad for you. And for all my Gluten friends out there – you are good to go. If the Kind Bars were a little bit cheaper, I would probably eat them more frequently than the 1 to 2 times per week I eat them now. On Sale at Publix, I get them for $1.25. While this is indeed a very fair price – especially considering that nuts are not cheap – it is a little bit pricey for every day eats. However, on the days I plan on eating one, I think about it all day long. Once it is finally time, and I open that package, my only thought is to Be Kind to myself. And lucky for me, this delicious mixture of Apple Cinnamon & Pecan, provides just that.